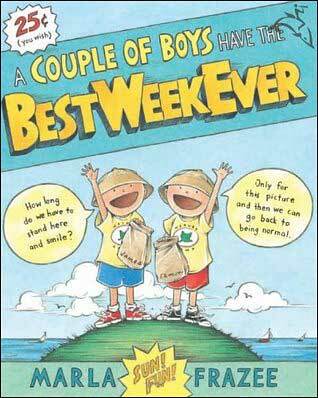 In A Couple of Boys Have the Best Week Ever, best friends Eamon and James have a blast while staying at Eamon's grandparents, although it's not because of the Nature Camp they're attending or all the activities that Eamon's grandpa has planned. It's their sheer joy of being together. But don't worry about poor Grandpa. In the end, it's clear that sometimes things work out best when they don't go exactly as planned. This book is a Caldecott Honor Book for 2009! 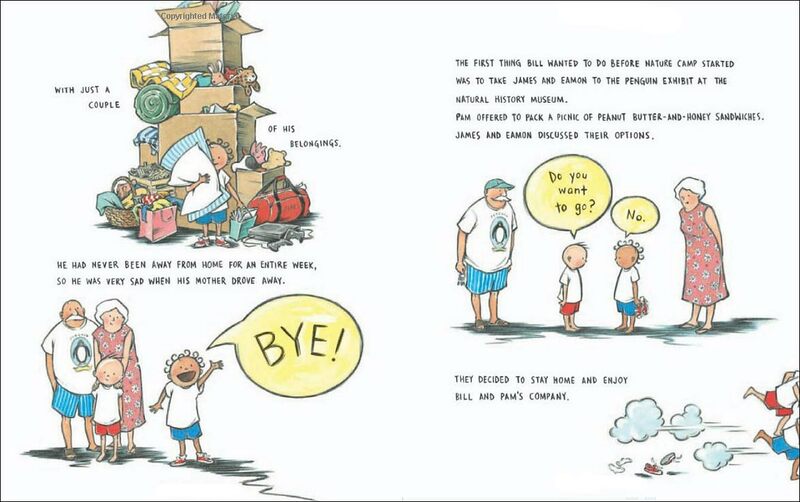 Frazee has captured the essence of summer, what it means to be a kid, and how even the best intentions by adults can't sway kids from being kids. Reading this book make me wish I was a kid again! 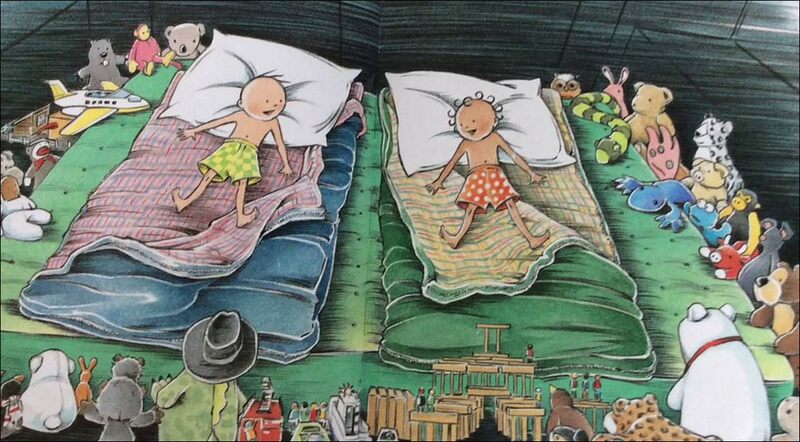 And Marla Frazee's illustrations are truly adorable! She's quickly becoming a favorite. To date, she has two Caldecott Award winners, but we're sure there will be more to come! 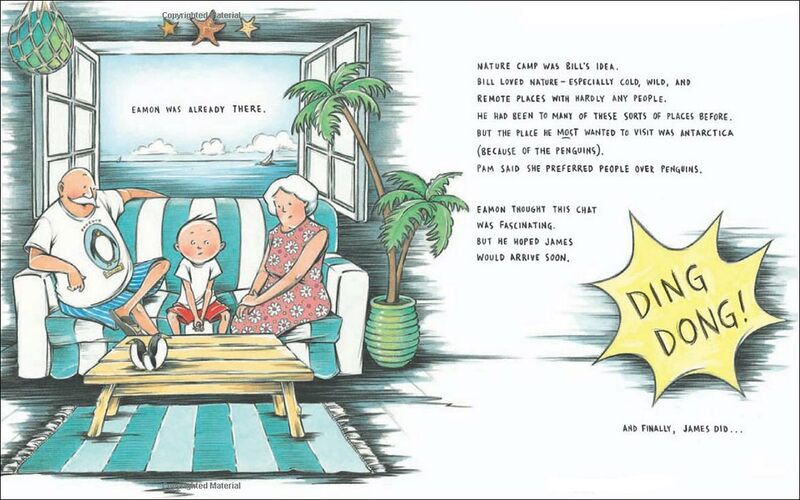 Parents: Get a copy for grandma or grandpa to read aloud next time they visit. They'll certainly relate to having their plans thwarted by little kid ambitions but caring most of all about just being together! Teachers: This book is ideal for getting kids excited to write about their best friends and what they like to do together. Or, you could have kids write about what they like to do during summer break. Kids will have their creative juices flowing and be ready to write. This book is probably better suited as a read-aloud than it is for individual reading, as the reading level is a bit high for this audience. Many second graders can likely read this book, but the average reading level of Kindergarteners and 1st graders is lower than this book, so it's best to read this one to kids in this audience. Below are three sample spreads from inside this adorable book! The hand-lettered text is a bit hard to read in this small version, but these sample spreads should give you an idea of Frazee's charming illustration style. Love!